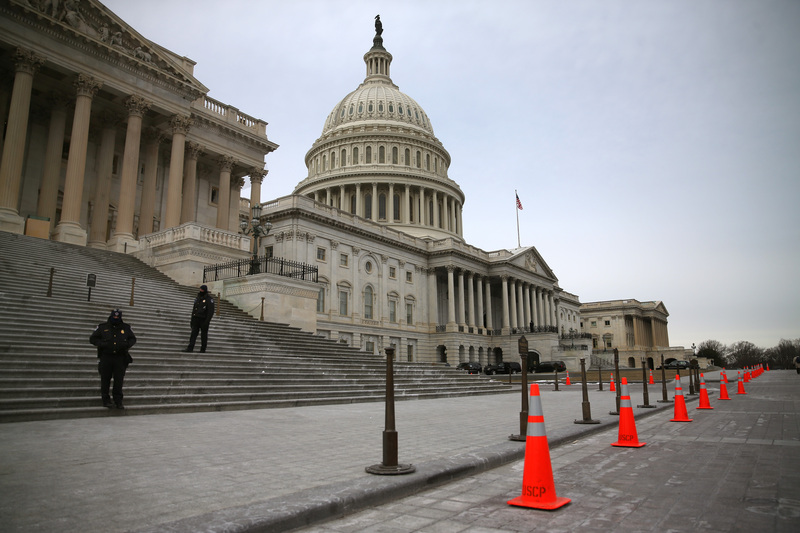 U.S. Capitol On Lockdown Following Shooting, Suspect Has Been "Neutralized"
The U.S. Capitol went on lockdown on Saturday afternoon following reports of shots being fired near the west side of the building. According to the Associated Press, authorities suspect the shooting was a suicide. There was also a suspicious package found near the scene, and a bomb squad has been sent to the location. A Capitol Police spokesperson told the AP the suspect has been "neutralized," but did not elaborate on the situation. According to the AP, the suspicious package was located on the building's lower west terrace and an investigation is underway. Politico reported that roads near the Capitol building have been closed. The building, too, remains on lockdown, with no one allowed in or out, as a precautionary measure. Authorities suspected the shooting was an apparent suicide, and Capitol Police later confirmed the gunman endured a self-inflicted gunshot wound. A source on Capitol Hill also told The Huffington Post that a "demonstrator" committed suicide on the West Terrace, but authorities have not yet confirmed the shooter's identity. Police activity has been reported on Capitol Hill requiring occupants in the U.S. Capitol Building and the Capitol Visitor Center to shelter in place. Close, lock, and stay away from doors and windows. Unfortunately, there were a ton of tourists in the area of the Capitol on Saturday due to the Cherry Blossom Festival, a long-time spring tradition that garners thousands of visitors each year. This weekend marked the last days of the festival, which kicked off on March 20 — right around the time when the famous cherry blossoms begin to bloom.